Loving your app! I would love to see you create more apps for other animals. I’d personally use one for goats and one for swine. Your model is so user friendly. I haven’t found any apps for our other animals I like. Love the chicken app, would like to see more! Thanks! Please please can you add an optional record for date of birth of animals so it’s easier to track ages. Eventually also good to sort by dob or age. There is already “date of birth” record. It is the “Hatched” field on the bird’s record. As far as sorting goes, sorting by various fields other than name will be coming in a future version. Very interested in purchasing this app…I’m a BA by day, so my question is, can I download/export all the data the app holds? Yes, there are a couple ways. You can export egg collection history or the financial journal as CSV files, or otherwise (in the latest version of the Android version) you can turn on Dropbox synchronization and all of the data will be backed up to your Dropbox account. Jan, I am sorry to hear that you were disappointed. I would welcome your feedback as to what “level of detail” that you were expecting to see. For example, I can’t tell what you mean by “tracking hatchlings”; how is that different from adding the new birds to the flock? I would certainly like to improve the family tree, but simply calling it “awkward at best” doesn’t help me understand what your expectations were. There are no additional charges. 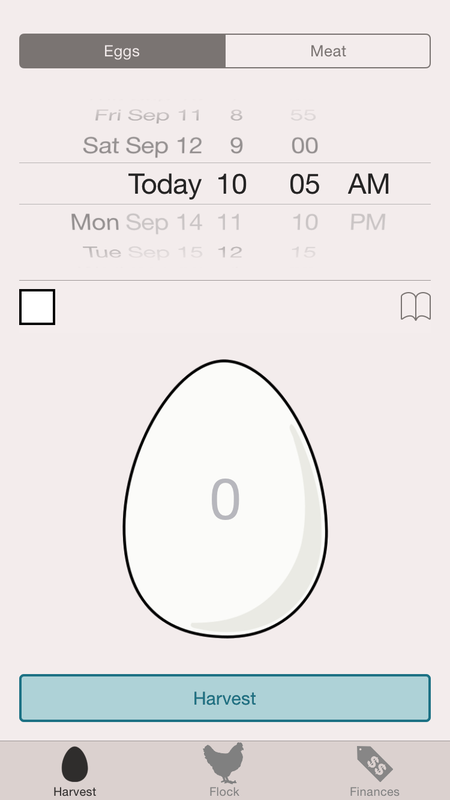 Mother Hen is not a subscription app; it is a one-time $2.99 purchase. For the Google Play Store, the standard refund period is 48 hours. However, if you can help me locate your order by giving me the state in which you reside, I can issue a refund of your $3. My only option for a “trial period” is to adopt a “freemium” or “shareware” scheme, where users would be able to download the app, but then be required to pay for it after some period of time. I feel like this would anger users a lot more, making it feel like a bait-and-switch. I would prefer to be upfront with users that I’d like to make a tiny income for the time I’ve invested. We are loving your app! My husband specifically requested that I say how much he loves the database export format, and pass on our appreciation of you making it available. We’ll have a couple small bugs and things written down more tidily later, but our first feature request would be Muscovy Ducks! They’re not only a different breed, but a different genus species (Cairina moschata), so even when I add them as a duck breed, they are categorized with all the Anas. It also does not seem possible to choose a bird with a photo uploaded when adding a purchase directly to the history log and not from the bird’s page itself. It would also be great to have an ‘add new’ option for birds in the list when adding a purchase event, since chances are good a new bird’s profile hasn’t been added to the flock page yet. Really enjoying this upgrade to my eyeballs from our xcel spreadsheet, thanks again! It makes me very happy when I hear that someone likes using the app. I will have to do some thinking about how to handle Muscovy Ducks. I originally added the genus field to the database because I needed a way to group the types of eggs from different types of birds. The genus made a nice multilingual key; I could put “Gallus” in the database and display it as “chicken” in English and “poulet” in French. I assumed that people would want to see the count of their chicken eggs separately from the duck eggs, quail eggs, etc, but I didn’t figure that they would want individual genera split out. Or, in other words, if customers buy eggs from you, would you label the Muscovy eggs as “duck” eggs, or would they be treated differently? Guineafowl and quail also get lumped together under the most common genus, because, again, I assumed people would want to track “guineafowl” eggs, rather than “Agelastes”, “Numida”, “Guttera”, etc. Would you want your Muscovy eggs graphed separately than your other domesticated ducks? The other issue is that in several places, I use silhouette icons for the types of birds. I’m not sure I could find a silhouette of a Muscovy that would look distinct enough from the other duck silhouette that users would know which one to choose. None of these are impossible things to solve, but it will take some time to think through the various challenges. Yes, currently, if you put in a new purchase record in the Finances area, you will only be able to select birds that already exist in the flock. If you aren’t seeing flock members that should be there, please let me know. I added your idea about being able to add new birds directly from the purchase record to my feature backlog.